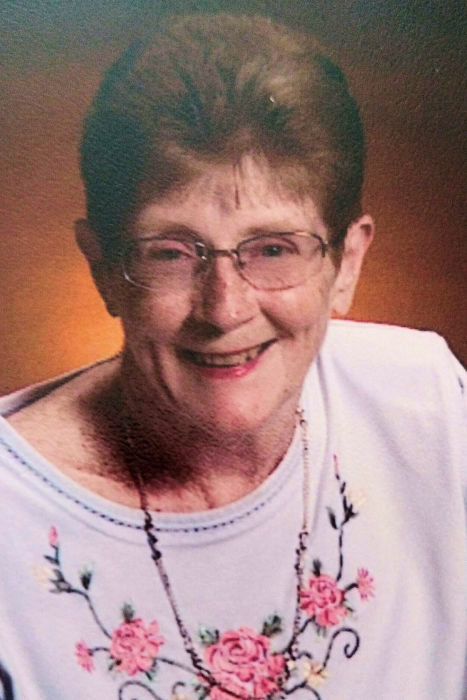 Roberta (Berta) Jeanette Bradick Karns of Meadville, passed away unexpectedly on January 9, 2019 in Lakeland, Florida. She was born in Venango, Pennsylvania on November 17, 1940, the child of the late Charles and Martha Blystone Bradick. Berta graduated from Cambridge Springs High School in 1958. She married her one true love, Lewis Karns on August 12, 1961 and they began what would be a wonderful ride in life. Prior to starting their family, she worked for the Enterprise Newspaper in Cambridge Springs. Once she became a mother, her daily focus turned to raising their children full time. As her children got older, she started managing the KFC restaurant in Meadville. Lewis and Roberta enjoyed a very active lifestyle and always lived every day to the fullest, taking every opportunity to be in the wonder of nature and the company of loved ones. She and her husband have wintered in Lakeland, Florida at the Holiday Mobile Home Park for the past 12 years. In addition to her husband Lewis, Berta leaves behind to cherish her memory and carry on her legacy two children; son, Duane Lewis Karns (Cherie) of Erie and daughter, Debra Kay Gerlach (Doug) of Harborcreek. In addition to her parents, she was predeceased by her beloved son, David Charles Karns, who died in 1997 and her brother, Richard in 2018. She is further survived by four grandsons, Justin and Ethan Karns and Matthew and Lukas Gerlach, and by brother, Dennis Bradick (Judy), her sisters-in-law, June Allen, Geraldine Mix Potts (Jim), Nancy Clark, and many nieces and nephews. Berta was never one to shy away from a hard day’s work and that is perhaps her greatest legacy to her children and grandchildren. Her favorite pastimes included farming, canning, freezing, fishing, playing cards, and bike riding. She loved playing the accordion and frequently did so for square-dances around the Meadville area and for jam sessions at their winter home in Florida. Those sessions, accompanied by her brother-in-law, Jim Potts, were a highlight of her life. Her true joy came from raising her children and playing with her grandsons. Family and friends are invited to call at the ROBERT W. WAID FUNERAL HOME, 581 CHESTNUT ST., MEADVILLE on Saturday, January 19th from 10:30 a.m. – 12:30 p.m. The funeral service will follow at 12:30 p.m. with the Rev. Mark Fischer, Pastor of Twelve Apostles Lutheran Church, officiating. In lieu of flowers, donations may be made to Trinity Lutheran Church, 649 Park Ave., Meadville, PA 16335.